KARACHI - On Saturday, Pakistan Army Chief visited Rangers Headquarters Sindh, where he discussed the current situation of Karachi according to Inter-Services Public Relations (ISPR). 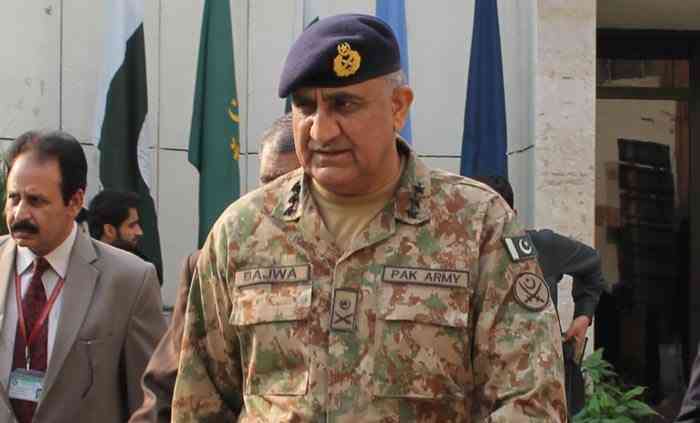 Pak Army Chief General Qamar Javed Bajwa said that 'Karachi is an economic engine of Pakistan. Economic and trade activities are improving due to peace. It's security conditions will be further improved.' All resources will be brought to improve further security in the city, he said. During the COAS visit to Rangers Headquarters Sindh, the Corps Commander Karachi, Lt. General Hamayun Aziz was also along with him. According to ISPR, DG Rangers Sindh Major General Muhammad Saeed briefed the Army Chief about the Karachi's current security situation. General Qamar Javed Bajwa praised the efforts of Rangers and LEAs for maintaining peace in the province. Pakistan Rangers Sindh along with LEAs have played an important role in War against Terror. The whole of Karachi was struggling with Gang wars, Extortion & Criminal Mafia. The Government of Pakistan ordered Sindh Rangers to launch Operation in Karachi so that the Security Situation can be improved. Today, Karachi is as safe as other cities of Pakistan.